Common ancestor: a single species that gave rise to at least two other species. Density: the measure of mass per unit of volume. Think of it as how solid something is. If you have two equal size objects, the one with the higher density would weigh more. Mammal: warm-blooded animal with fur. 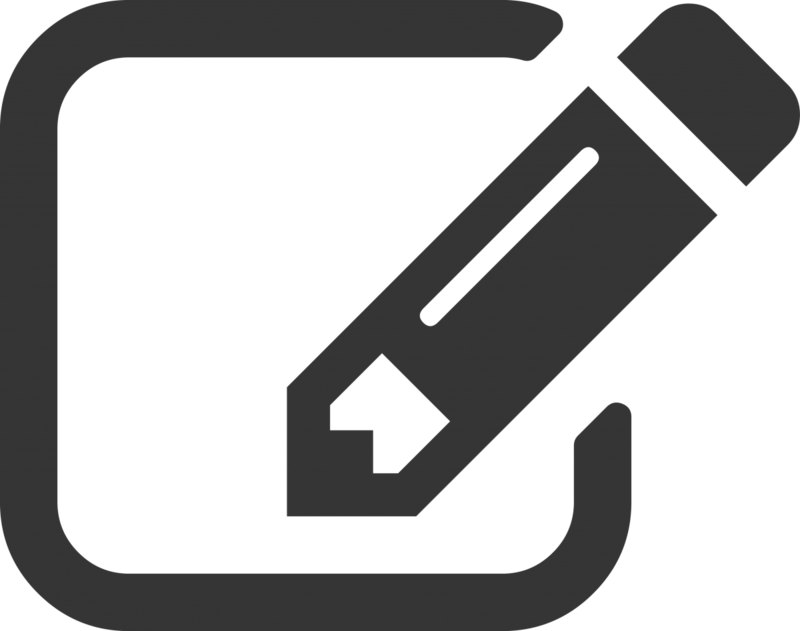 Mass: is used to describe how much matter is in an object. If you know the number of atoms, the density of the atoms, and what type of atoms are in an object you can calculate its mass. From the outside human arms, bird wings, and bats wings look very different. Humans are covered in skin, birds are covered in feathers, and bats are covered in hair. But on the inside there are many similarities among human, bird, and bat forearms. Did you know that humans, birds, and bats have the exact same types of bones in their forearm? These organisms share the same forearm bones because they all evolved from a common ancestor. Human, bird, and bat forearm bones include the humerus, ulna, radius, carpals, metacarpals, and phalanges. Can you identify these bones on the diagram below? While these organisms all have the same basic types of bones, the bones have been modified to have different functions. Humans use their forearms to reach and pick up objects, swing a baseball bat, and play the piano. Bird and bat forearms have evolved into wings allowing them to fly. 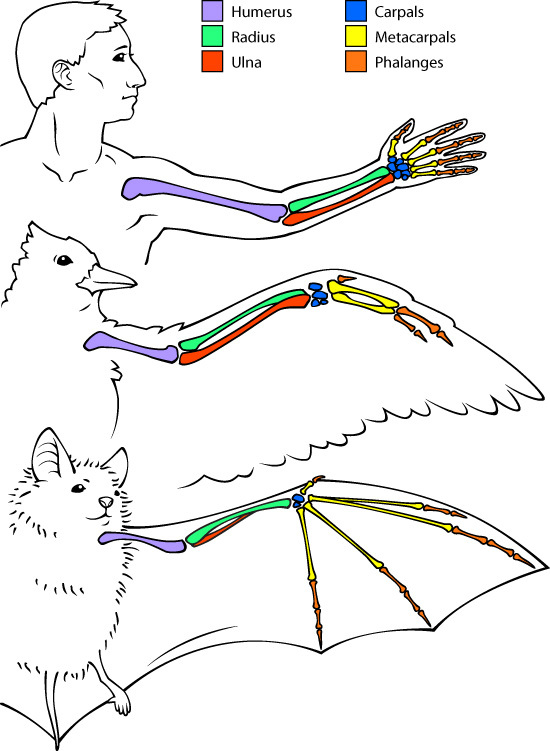 Can you find any more differences and similarities among human, bird, and bat forearms? Download your own human, bird and bat bone coloring page. Bones of animals are strong and mostly dense, but they don't all have the same structure. Unlike human bones, birds have a lot more empty space inside their bones. Bird and bat bones also look smaller and more delicate than human bones. This was thought to make both bird and bat bones lighter so they can fly. Some recent research has shown this may not be true. Compared to most mammal bones, bird bones have more empty space inside and bat bones are thinner, but the bone material for both animals is actually denser than the bones of a similar-sized rodent. The research suggests that these bones only look like they would be lighter. Instead, their increased bone density makes them strong and stiff so they can handle the stress of flight. When it comes to bone density, it looks like birds are the most dense, followed by bats, then non-flying mammals. Are bird bones hollow? Yes they are. However, the bones of birds do not have one big open space like a pipe. Instead bird bones have large air pockets that make them lighter than if they were solid. The design of the interior of the bones also makes them strong. Bat bones are very thin, but they are also more dense, making them strong enough for the stress of flight.